Welcome to Wiesbrook Sheet Metal, Inc.
After 28 years of being in business, Wiesbrook Sheet Metal still remains one of the premier sheet metal contractors in Northeastern Illinois. We are one of the only contractors in the Chicagoland area to offer such a wide range of HVAC and architectural services including commercial, residential and industrial. Our award-winning work has become the industry standard for quality and innovation. In 2001 WSM acquired the assets of the C. Gauger and Sons heating and cooling service department, which expanded its services to include commercial and residential service and installation. WSM has been installing and servicing air conditioning and heating throughout Naperville, Plainfield, Aurora, Oswego and the Western Suburbs for many years. We have built a solid reputation for commitment, trust, and unmatched customer service. 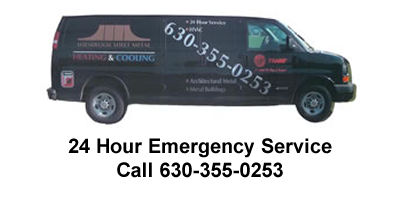 Call WSM for all your air conditioning and furnace repairs. From architectural metal, commercial HVAC systems, to residential heating and cooling solutions, you can count on the experts at Wiesbrook Sheet Metal every step of the way!